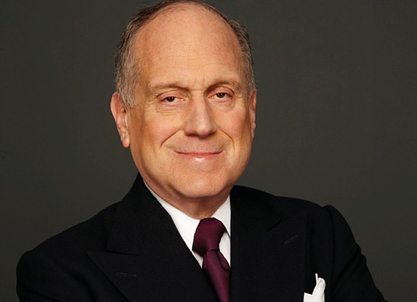 Ronald S. Lauder is a longtime media investor, international philanthropist, noted art collector, and a foremost leader of Jewish causes. He currently serves as President of the World Jewish Congress (WJC), a position he has held for a decade. As president of the WJC, Lauder is one of the most prominent and influential leaders in the Jewish world. Lauder regularly meets with heads of state, legislators, and high-ranking government officials to advance the interests of world Jewry. A staunch defender of the state of Israel, he is committed to securing a vibrant future for the Jewish homeland. From 1983 to 1986, Lauder worked at the Pentagon as Deputy Assistant Secretary of Defense for European and NATO Affairs. In 1986, he was appointed by President Reagan as U.S. Ambassador to Austria. During his service in Vienna, he built strong diplomatic bonds between Austria and the U.S. while personally repudiating then-President Kurt Waldheim’s Nazi past. Lauder’s confrontation with anti-Semitism during his diplomatic posting led him to explore his own Judeo-Hungarian roots. Contrary to the then-prevailing wisdom, Lauder believed that eastern and central European Jews, devastated by the Holocaust and stifled by decades of communism, would embrace their heritage if given the chance. He established The Ronald S. Lauder Foundation, which focuses on Jewish education and community outreach programs, to revitalize Jewish life in the region. In 1997, Lauder was elected President of the Jewish National Fund, a charitable organization focused on the development of Israeli land and infrastructure. After a decade as President, Lauder became Chairman of the Board in 2007, a position he still holds. In 2001, Lauder founded The Neue Galerie for German and Austrian Art in New York City. He was Chairman of the Museum of Modern Art from 1995 to 2005, and is now Honorary Chairman. Lauder is a graduate of the Bronx High School of Science and the Wharton School of the University of Pennsylvania.